Named in honour of the Duchess of Cambridge, Kate is already proving to be a popular choice for weddings and events. 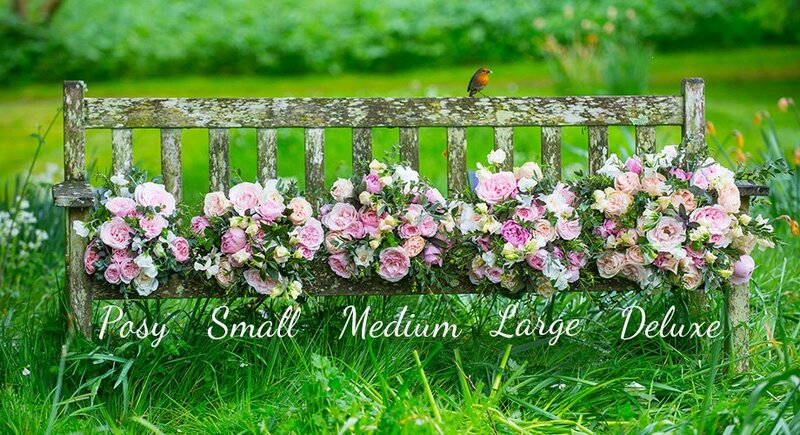 The garden-style blooms perfectly complement cottage garden flowers and foliage. 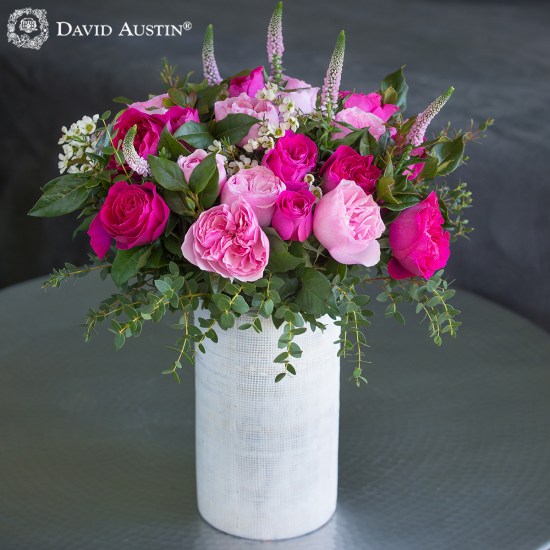 Kate is beautiful at all stages as the long elegant buds with attractive, silvery magenta pink outer petals gradually open to wide blooms of up to four inches across. 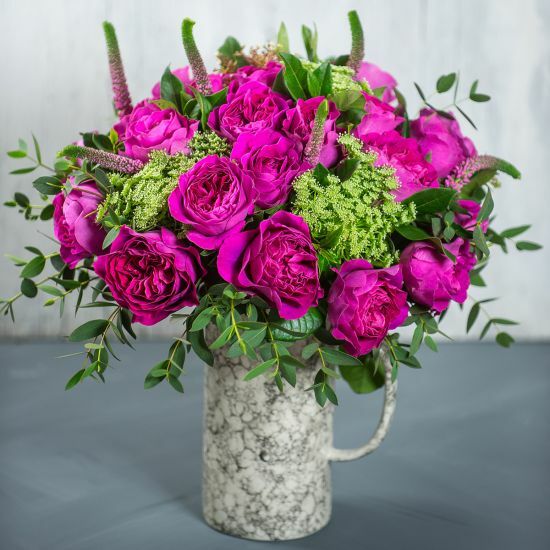 Kate has many magenta pink petals which give the overall impression of rich raspberry pink. 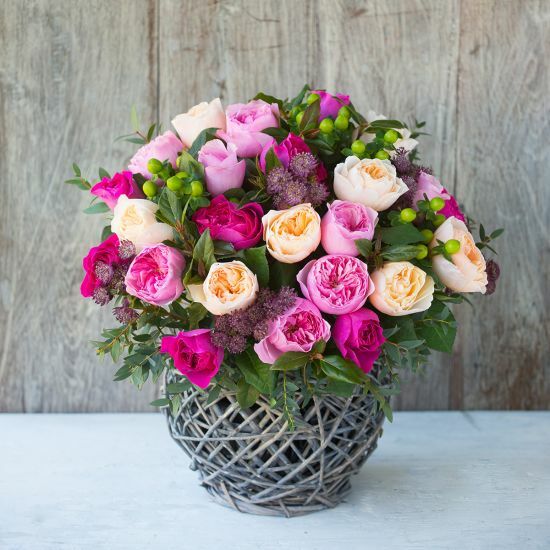 As the roses age the petals deepen in colour, taking on hints of purple. The flowers are fully double with exquisitely waved outer petals. Over time golden yellow stamens are eventually revealed. 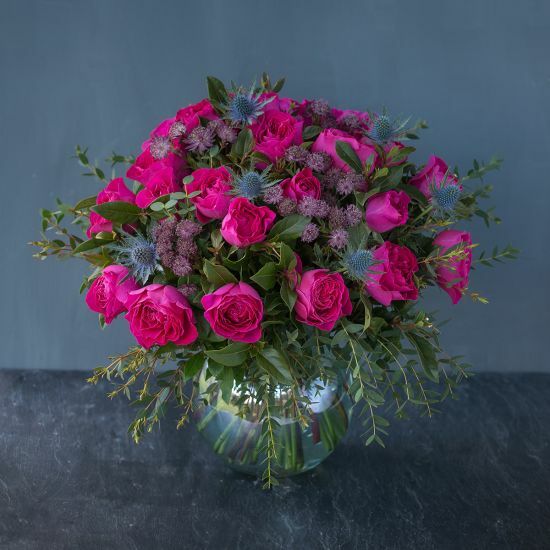 The mature flowers are in the style of 18th and 19th century Gallicas, with some of the character of both Charles de Mills and Tuscany Superb, which are generally considered amongst the most beautiful of all roses. The fragrance is a beautifully balanced, pure rose fragrance with what our fragrance expert, Robert Calkin, describes as having a “touch of after-rain freshness”. There are also subtle hints of raspberry, redcurrant, geranium and bergamot. The fragrance varies in intensity as the flower ages.